Every writer comes to a point where we need to bring in someone else to help us move forward with, finish, or polish our book. A point where we’ve done everything we know how to do and are ready for another set of eyes, someone who can see what to do to make sure our writing sounds like us and says what we want to say (in words people want to read). This is the bulk of what I do. Maybe you’ve started your book or teacher training manual and you have a chapter, a few sections, or maybe an entire first draft…well, first of all, YAY! Congratulations! Or maybe you started writing a while ago, got stuck, and put it aside…and now you want to start again but have no idea whether you should jump back in from where you left off, start over, or keep some of it and not the rest. Maybe you want to turn your teacher training manual into a book and aren’t sure how. Or maybe the whole book is done and you need someone to proofread it to make sure it’s ready to publish or hand out. Like the lotus flower that travels through murky waters, guided only by the faint light in the distance to finally blossom at the first nourishing, comforting warmth of the sun, I found myself ready to bloom. I decided it was time to write a book. At first it was as if the flood gates just opened: everything came rushing out all at once. After a few months of writing I looked at the what I had created and thought to myself, “Now what?” Although the content was there, I lacked the structure to properly deliver it. I needed help! 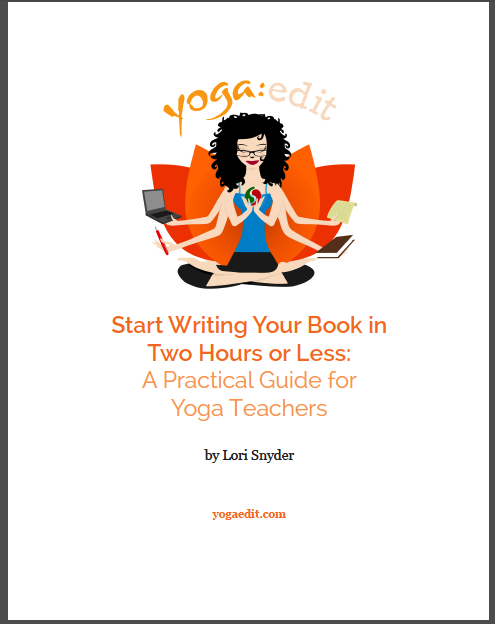 When I called Lori Snyder at Yoga:edit, she was very interested in wanting to know exactly what I hoped for the book. She asked me in detail about the message I was trying to get across through my writing. When she felt she was clear on what I needed, she suggested that we not yet do a full edit, that instead she spend an hour looking through my manuscript and send me some organizational thoughts that might help me move ahead. She was the answer to my request! When she sent me back my manuscript with suggestions and an outline, I once again had structure and flow. I saw the end result and was inspired again to write. Her suggestions were simple, creative, and to the point! Most of all, it was truly worth every penny! I want to thank you, Lori! All editing or writing partnerships start with a phone or Skype conversation, which is free. This is so you can get a feel for me and I can get a feel for you and what you write, and we can make sure it’s a good match. During that phone call, we’ll talk about what you need and, if you decide to work with me, set up a plan. 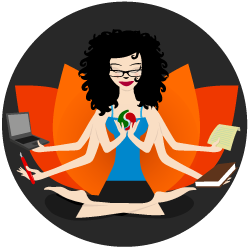 • All editing and writing services are personalized to you, so each partnership is unique. I act as your editor, champion, and coach through the whole process. • Every editing client has unlimited emails and often quite a few phone calls with me during the course of the work. Unless we end up doing the bulk of our communication via phone, these are all free. I only charge for the time I’m actually editing. Good editing will take your book and carefully shape it into more of who you are and what you want to say. To get an idea how long different types of editing take, here are real-life examples from some of my clients over the years. • Revising, editing, and final proofreading of ebook: 9.7 hours. If you need an editor or writer, click on the button to the right, and let’s set up a time for a free chat to see whether it’s a good fit.